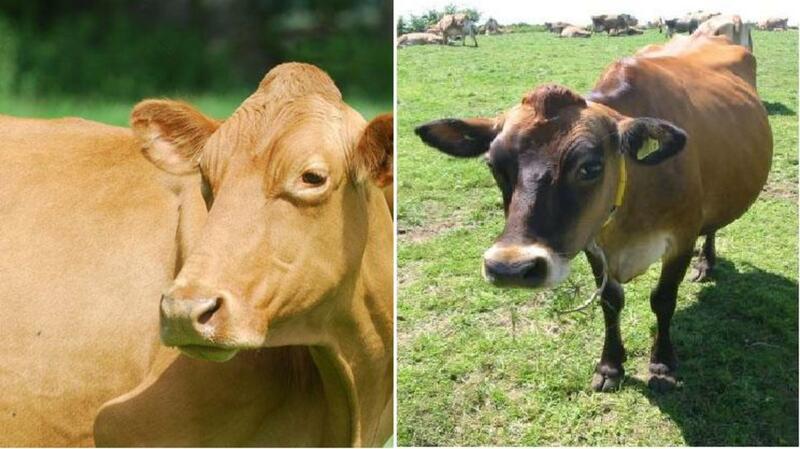 Guernsey Cow Left and Jersey Cow Right. 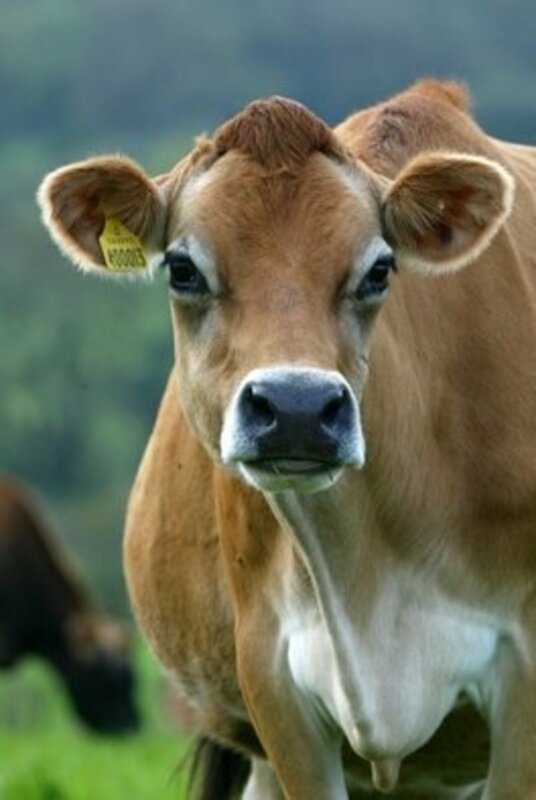 Channel Island cow's milk is universally accepted as being the best in the world, hence why so many countries now have large herds of both Guernsey and Jersey cows. The question that comes up gain and again though, is which is better, Guernsey or Jersey milk? Coming from Guernsey myself many might accuse me of being bias towards Guernsey milk, but that is not true, and I intend to look at all the information available in order to come up with an answer to the question of which cows produce the better milk overall. 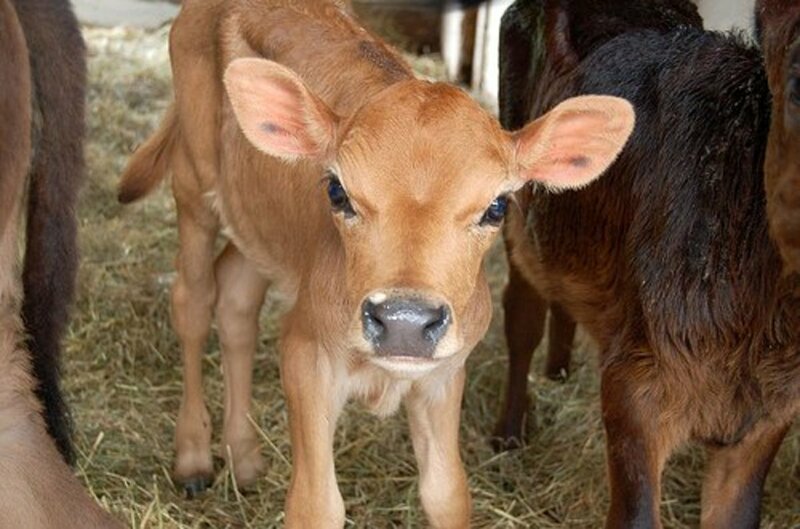 1) Guernsey milk contains 3 times as much omega 3 as other milks. 2) Beta Casein A2 - When tested in the UK Guernsey milk tested had more than 95% A2 which compares with 40% A2 in Jersey milk and 15% in 'ordinary milk'. 3) Beta Carotene - This is not digested by Guernsey cows so it passes into the milk and produces the wonderful golden colour. Beta Carotene is found in green vegetable matter i.e. 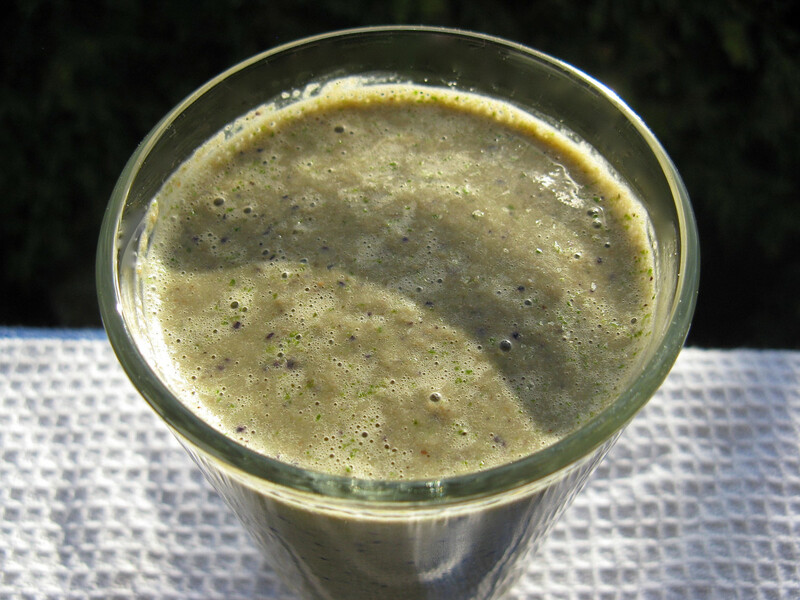 grass and is thought to give protection against certain cancers. It is known that the consumption of vegetables is good for you. Therefore drinking Guernsey milk should provide the same health advantages. 4) Guernsey milk contains 12% more protein, 30% more cream, 33% more vitamin D, 25% more vitamin A and 15% more calcium than other milks. 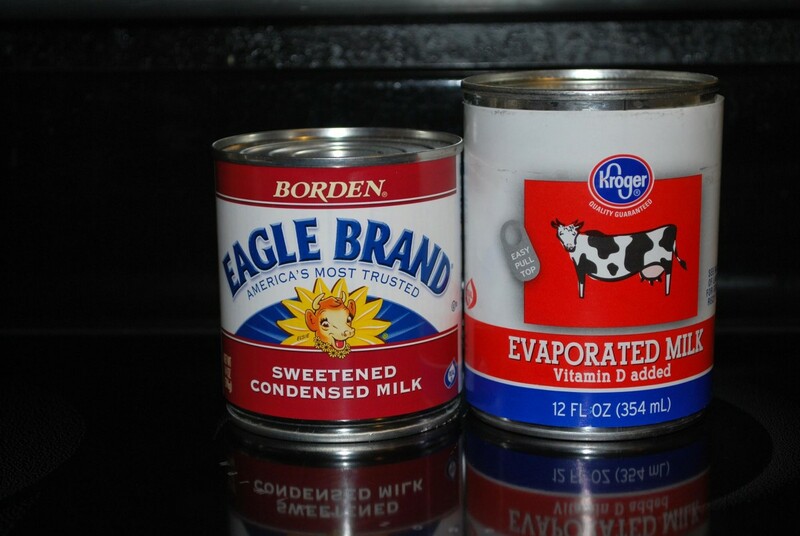 On average it contains 4.65% Butterfat and 3.55% Protein. The fat and protein content of Guernsey milk is higher than that of 'ordinary' milk, meaning it has a better balance then Jersey milk and is therefore 95% fat free. 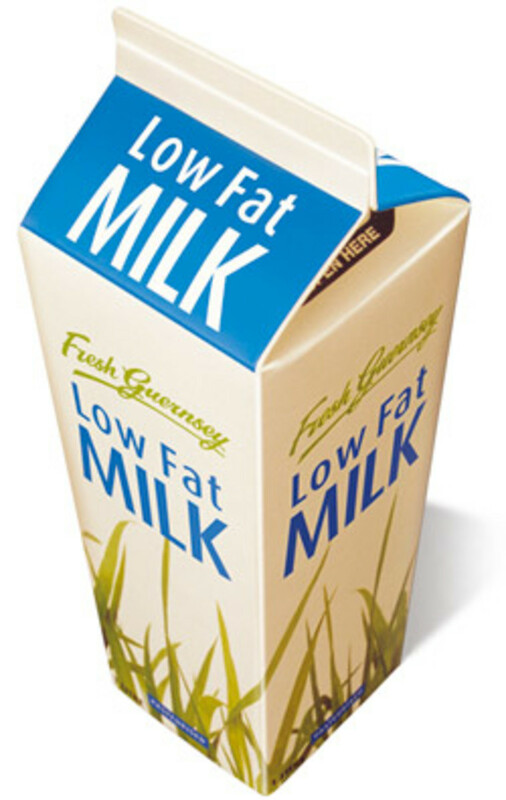 2) Skimmed or low fat still has the taste of whole milk due to its higher solids—not-fat content. 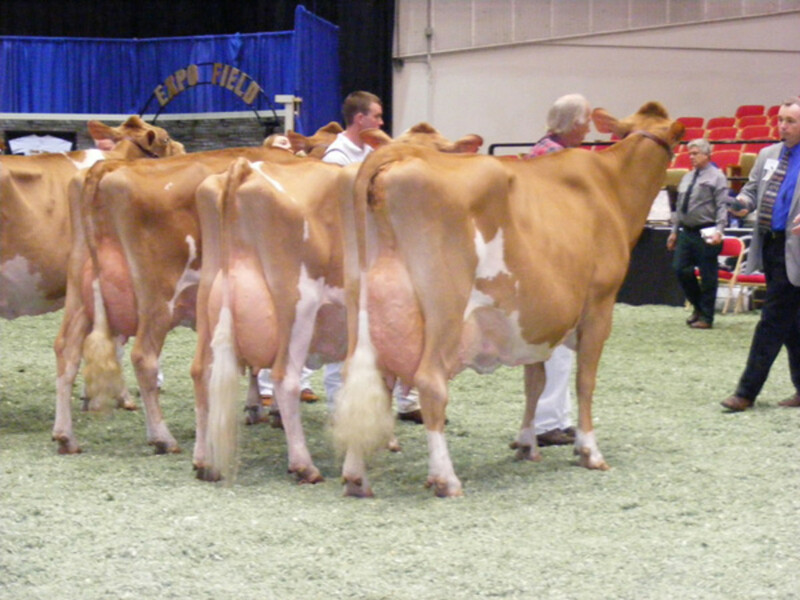 3) Jersey milk has been shown to contain more Vitamins A and Vitamins B1 per litre than Holstein milk. 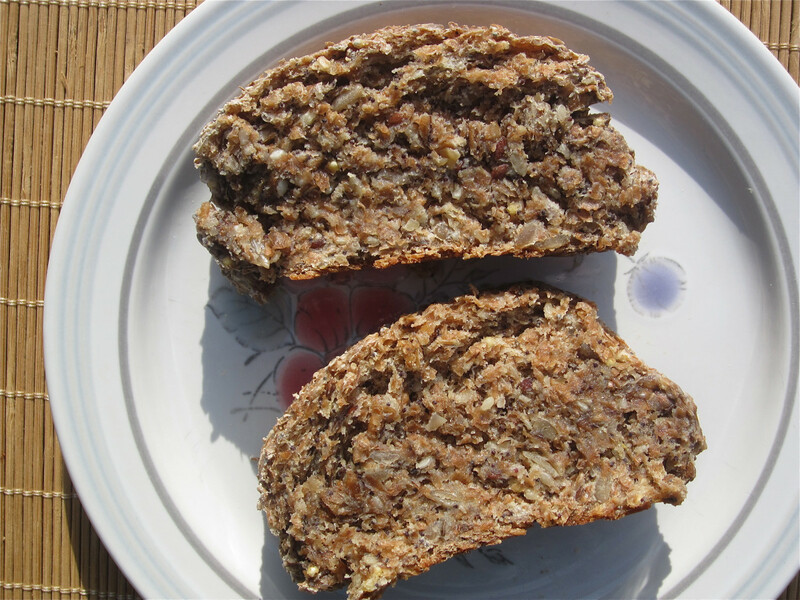 In addition it has an extremely high concentration of B2 (riboflavin) . 4) Jersey's provides the most nutrition per given unit of volume. If a person were consuming Holstein low fat milk, 9.64 ounces would need to be consumed in order to receive the same amount of nutrition from consuming 8 ounces of Jersey's. Friesian cows produce mostly A1 milk, Jerseys and Guernseys produce mainly A2 milk. In Devil in the Milk, Professor Keith Woodford explains the differences between 'normal' milk and A2 milk. Professor Woodford compares studies of heart disease in countries which consume A1 and countries which consume A2 and finds a strong correlation between consumption of A1 milk and heart disease. He also finds a correlation between heart disease and type 1 diabetes. He suggests that A1 milk may be implicated in a range of other physical and mental problems. If the different types are taken into account, this could (rather than the red wine hypothesis) explain why both the French and the Masai, whilst having high dairy diets, have comparatively low levels of heart disease. In each case, those persons would appear to consume only A2 milk. The Finns, on the other hand, have high dairy diets but consume predominantly A1 - and have high levels of heart disease. There have also been claims that the A2 milk could be beneficial to autistic children, but firm proof is so far lacking. Q. What breeds of dairy cattle typically produce the lowest percentage of A1 milk? 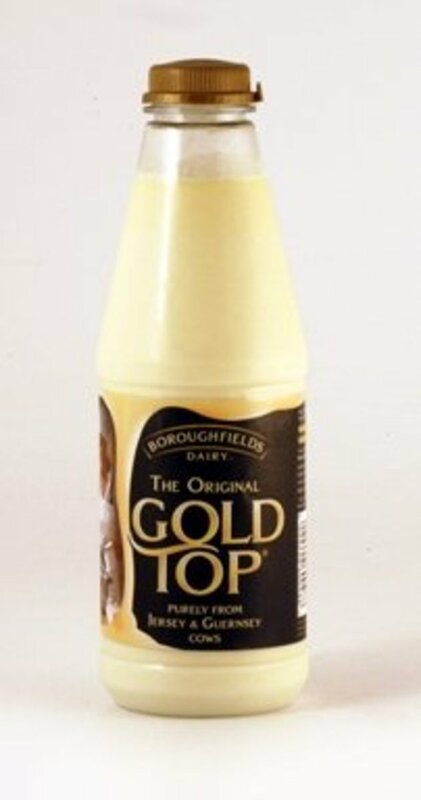 Gold Top and Breakfast Milk are unique in that It comes exclusively from pedigree herds of Jersey & Guernsey cows, usually referred to by the dairy trade as "Channel Islands milk". Channel Island milk is rich and creamy yet is still only 5% fat. It tastes delicious as a drink in its own right, and anything made with Channel Island milk also takes on this superiority. The quality of the milk produced by these amazing, creatures is unsurpassed – it is rich, creamy and golden as well as naturally high in protein and calcium. A1 & A2 Results by Cattle Breed. So Which Is the Best Milk? Looking at all the evidence I have to honestly say I don't think there is an actual answer to the question. The problem is that we all look for different qualities, therefore what qualifies as making one better than another; is it the taste, the health factor, the versatility or something else? I have spoken to people who have drunk both types on many occasions, and I have to say the majority seemed to prefer the taste of Guernsey milk. Guernsey's can boast the higher levels of A2, Omega 3 and Beta Casein and is said to have the better overall 'balance' of nutrients compared to Jersey's. 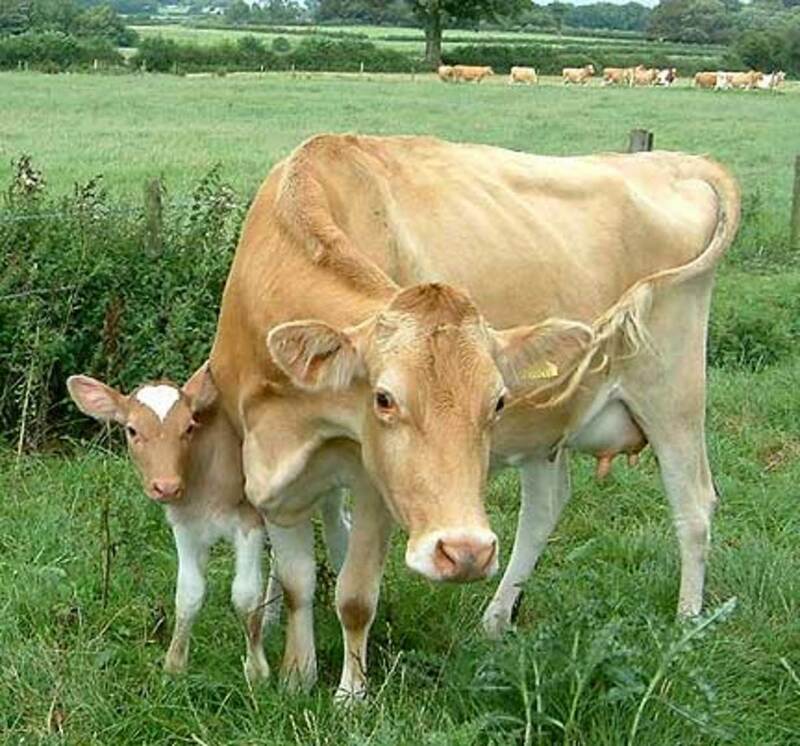 Jersey milk on the other hand has an extremely high level of riboflavin, provides the most nutrition per unit of volume and their low fat still has the taste of whole milk.The fat globules are the largest of any dairy breed. 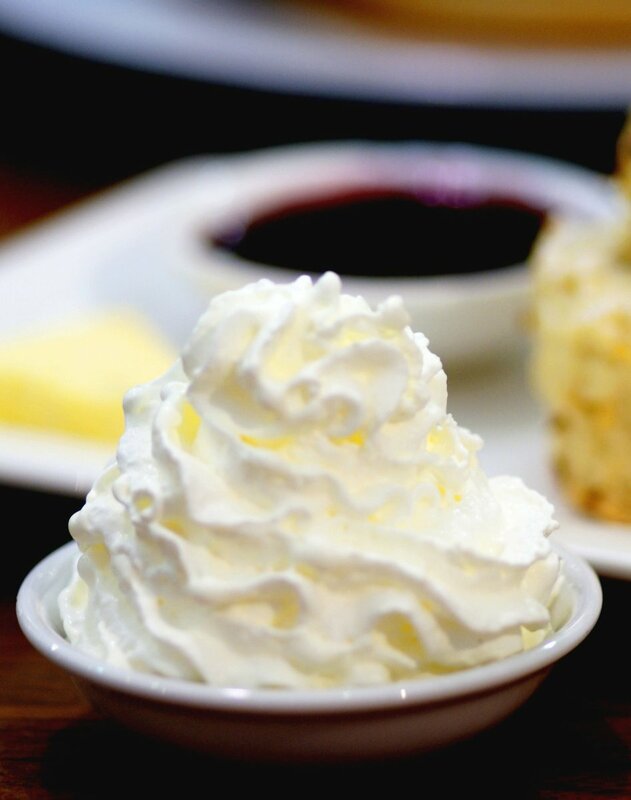 Because of the large globules, the cream rises faster and churns far quicker than cream from other breeds. I honestly can't call this one fairly as I don't actually feel there is a correct answer to the question I asked. If you asked me personally to judge purely on taste alone I would say I prefer the Guernsey milk, but to be fair a blind taste test conducted over at least 50 individuals would probably be the best way to get a general consensus of opinion. As for the nutrient levels, well, it appears to be a case of 'swings and roundabouts', one may have more of one nutrient and less of another, whilst the same situation may be reversed on the next nutrient. Perhaps this is why so much milk in the UK now is sold as "Channel Island Milk", and is actually a blend produced by both Guernsey and Jersey cows, therefore producing a perfect all round balance. Living in Guernsey we can mainly only buy Guernsey milk (and I love it), but on the occasions I visit Jersey I love theirs too and have no problem with enjoying it in much the same way I enjoy the Guernsey product. My advice would therefore be, if you live in a part of the world where you have a choice over buying either of these, whichever you choose you won't be disappointed, but as an experiment do try to buy one of each kind so that you can conduct your own personal taste test, and then decide for yourselves which you and your family prefer. Hi Esther, i’m afraid i don’t know the answer to the first part of your question as the calorific values were based on Tesco’s Finest Channel Island milk, the exact content of which is difficult to know without contacting Tesco’s directly. If you wait for the cream to rise to the top of the milk and then you skim it off, there will still be fat in the milk. 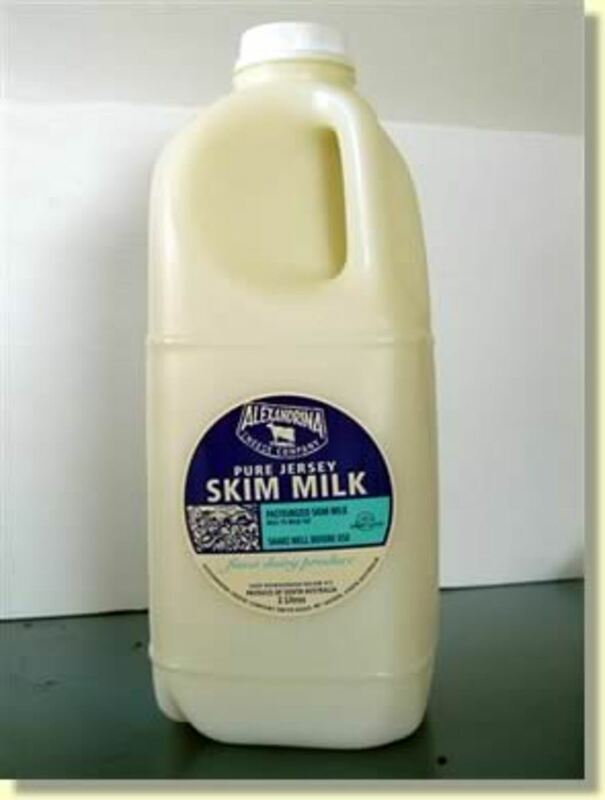 Guessing you would effectively turn it from full cream into semi skimmed, but if you removed all the fat all you would have left would be whey (the waste product after milk is churned to produce butter). Are the calories and fat etc. listed for 100 grams of you milk based on 6.8% butter fat? COuld I let the milk sit, scoop off the fat and then add in a T at a time to know more accurately the calories of my own Jersey raw milk? SO tricky to know what taking in when it isn't homogenized(and glad it isn't)jUst want to know for tracking macros. Thank you for any help you can give me with this. Is there still fat in the milk in addition to the cream that rises on top? Thank you for a very interestesting and informative comment MN Sunshine. I grew up on a large dairy farm with Holsteins, Guernsey, Jersey and Herefords. For house use, it had to come from either 2 Guernseys (Babe or Linda) or 2 Jerseys (Myrtle or Janis), When we need more cream, it would be the one of the Jerseys, If it was mainly for drinking, it would be the Guernseys, because the cream would raise the butter fat. I did notice a difference in taste but in mouth feel the Jersey was richer, smoother. Even though the taste of the Holstein was still good, it was very watery with less body. Since all our animals (135 cows) were fed the same (grown all on our farm), it may account for the same taste. because visiting neighboring farms, their milk did not taste the same, even when it came from a Guernsey or Jersey. I also think everyone's taste is honed somewhat by what they are used to. 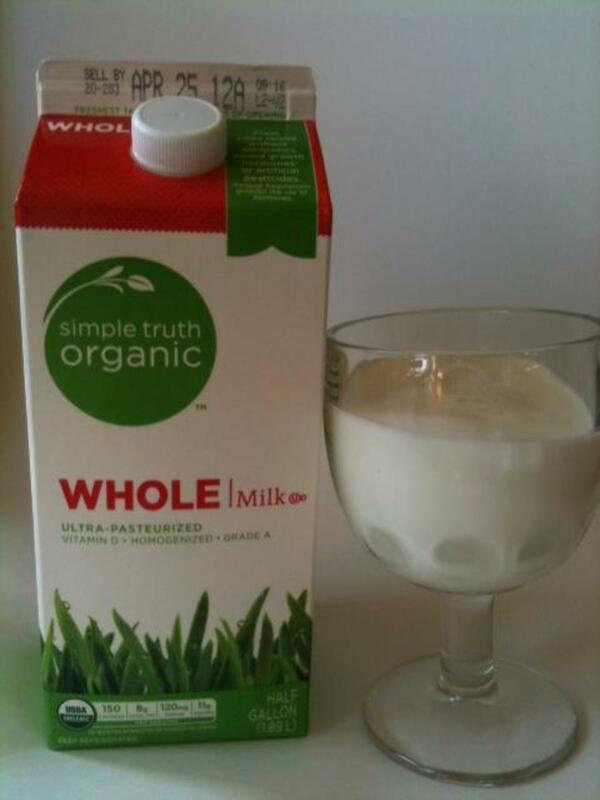 If you are not used to the full body of a whole milk, many think it is distasteful. City kid visiting voiced this opinion, so if we had overnight city visitors we started to bring in a 1/2 gal of the Holstein milk for them. This worked well. Which is better? I love them both. Thanks for bring this information to the general populace, everyone should know more about what they consume. I wish I could help you Jorge, but your best bet is to contact the Guernsey Cattle Breed Society, who might know of Guernsey cattle breeders in Peru. I wish you good luck. You will love it Miguel. Do post here again when you have tried it. I am in Houston and I have 3 Guernsey cows and I can’t wait to milk them and try the golden milk. That;s fair enough khalaf, everyone is entitled to prefer whichever one they like best. For me the Guernsey full cream milk (in the red carton) is my favourite, although I find it just too creamy in a cup of tea, so then use the Guernsey milk in the blue carton instead. Yes Debra, there is butter available from Guernsey cows, although personally I prefer the Alderney or Sark butter from our neighbouring islands to the butter made in Guernsey itself, but theirs is still made from Guernsey cows milk. Is there butter available from Guernsey cows? Enjoyed the read,My family in Moravia,N.Y. are bottling DNA tested Golden Guernsey Milk, making butter and cheese. 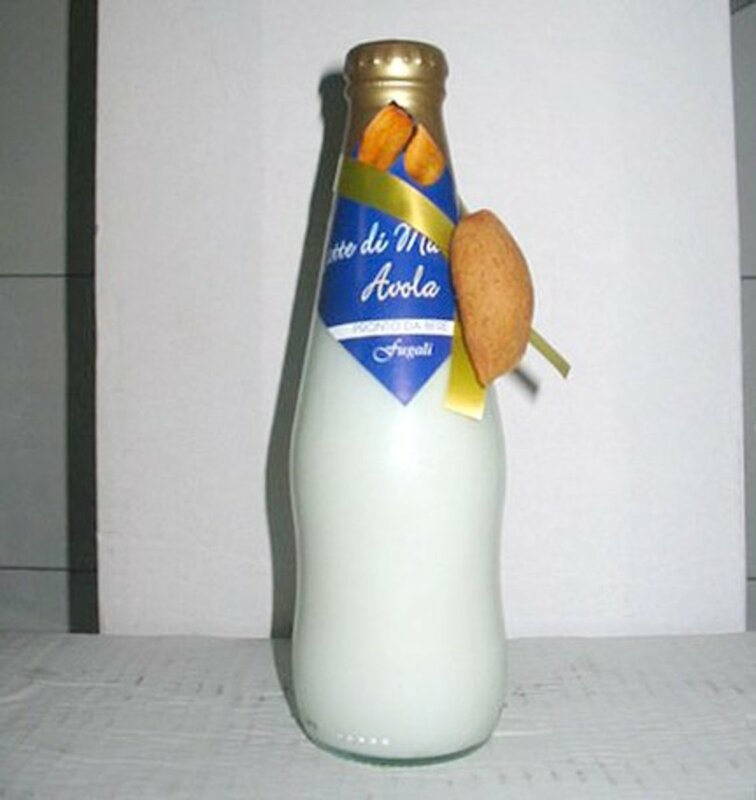 I have always loved gurensey milk.i am happy that other people can enjoy it too. I am afraid I don’t keep cows myself so am not an expert on their actual needs. I suggest you contact the Guernsey cattle breed society to ask these questions, as they will give you far more comprehensive answers than I could. A quick Google search should track them down. I am in the midst of writing a Blog about the A1/A2 milk controversy. We live in rural Ontario and bottle our herd's fresh Jersey milk on-farm in glass bottles only. We were frustrated with our high quality Jersey milk, mostly A2 milk, being blended with A1 milk, or regular milk as we call it. And then processed and put into plastic. We, Miller's Dairy, are very proud of our high quality, high level A2 milk bottled in glass. Also, we are excited about new studies that will further confirm the importance of A2 milk along with the high quality of Jersey milk. Our tag line is "all the best from the girls... at Miller's Dairy." It is soooo true! Are you sure you don't have access Darlene? Quite a lot of Guernsey and Jersey herds are reared in other countries and sometimes supermarkets sell milk that is 'Channel Island Milk'. Worth enquiring locally or with the local cattle society to see where your nearest herd is. I'm allergic to the A1 proteins in milk and it's relatives/derivatives. Wish I had access to milk produced from Guernsey or Jersey cattle. Thanks Brent. That could be very helpful to know. There is a organic Guernsey herd selling Guernsey milk near the San Francisco Bay area in a town of Sebastopol, CA. Run by the Carinalli family.. hope that helps. Hi Anub2017, and thank you for your lovely and informed comment. I am afraid I can't answer your question re California because I am in Guernsey in the British Channel Islands and have no knowledge of farms in California. I do however hope you source an answer from somewhere more local to you. Good luck. Very interesting article, thank you for this detailed perspective! I've been researching A2 milk here in the San Francisco bay area for health reasons for some time now. 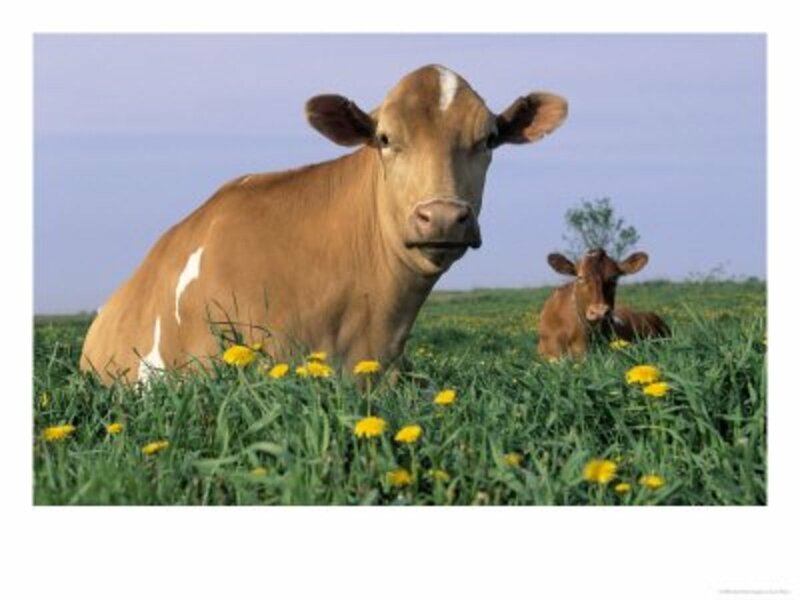 I came across an interesting factoid worth sharing - the A2 milk company (which touts their milk as being 100% A2) on their website give the information that Jersey and Guernsey cows are higher in their A2 content (same as the info in your article). However, upon checking which breeds are being used by the A2 milk company here in the US, it seems they are using Holstein cows. Yes, you read that right. I've checked this thrice through different sources. So, this made me wonder how this is possible, and how this may affect the nutritional content of this milk? because on the one hand as say you say, milk from Holstein cows is the least preferred due to its lack of nutritious composition. But on the other hand, if they are selectively being able to get A2 milk, albeit from Holstein cows, how would you rate its nutritional offering? Also, I am very keen on buying raw or low pasteurized A2 milk (preferably Guernsey?) here in the California bay area. would you know where I could get the same? Thanks! This was really interesting; thank you! I think I agree with you that in the end, you should drink whatever is local. Better for the environment, too! Hi rc, honestly I can't answer that one as there are Guernsey and Jersey are herds all over the world. You could try the link that Brent provided in the comment above yours. You can often buy Channel Island milk in supermarkets now which is generally a blend of Guernsey and Jersey cows milk. Good luck and I hope you manage to source some soon. Just reading your article about the Guernsey or jersey milk makes me want to purchase and drink it. 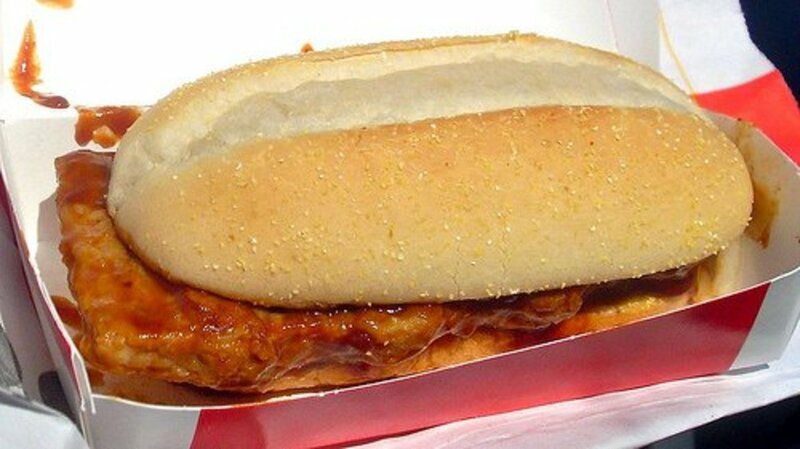 I live in the south... where could I start to look and order some for delivery to the south. There have been (2) major orders from Italy to start 2 new Guernsey herds. The Guernseys will come from the United Kingdom. We will be posting more information as it becomes available. Check out www.Facebook.com/GlobalGuernseyMarketing For more details of where you can find Guernsey cows and milk products around the world.. Thanks! I shared your hub on my blog that I am working on and starting to take hubs and putting them there. Trust me, the Jersey and the Guernseys are impossible to beat for quality of milk regardless of quantity each cow produces JYOTI. There are very nice cattle breeds in India that provides high quality milk. Tharparkar of Thar desert considered to be the best in India. other good breeds are Rathi, Geer, Haryanvi etc. Jersey provides more milk and for that reason this breed is popular not because of quality milk. .
Now how's come I never seen this one? This is all great information for those who want the very best milk to drink. 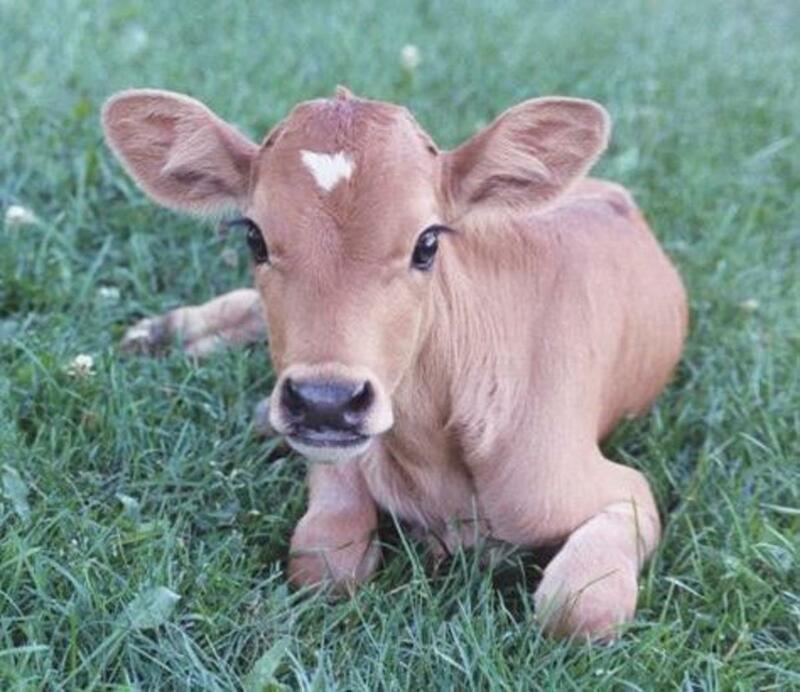 I love all the pretty cow pictures. I also cannot drink milk either. I am allergic to the casein in it. Most dairy products do, including goat's and even human milk. It's genetic for me as it runs in the family on my mom's side. Such a shame you can't drink milk Tuscan Grandma as the Channel Island milk is delicious. I agree both breeds are lovely. Based on the A2 content I would say the Guernsey milk, but if you can get either they will still be better for you than milk from normal cows based on the high quality. If you can source 'Channel Island' milk you can get the best of both worlds as it is a combination of all the island's milk. I have only had Jersey milk of the two. I would not know where to find and try Guernsey milk, as I am curious about it. So, which is a better choice for a mother-to-be? Excellemt Carolyn, will be interesting to see how the crossing of the breeds effects the milk. my dad got a guernsey/aryshire/jersey two days ago. she is 1 year old. we are going to pick her up tomorrow. she looks great. we have small 5 cow herd of Jerseys, all of which are A2/A2. We are adding in our first guernsey soon. 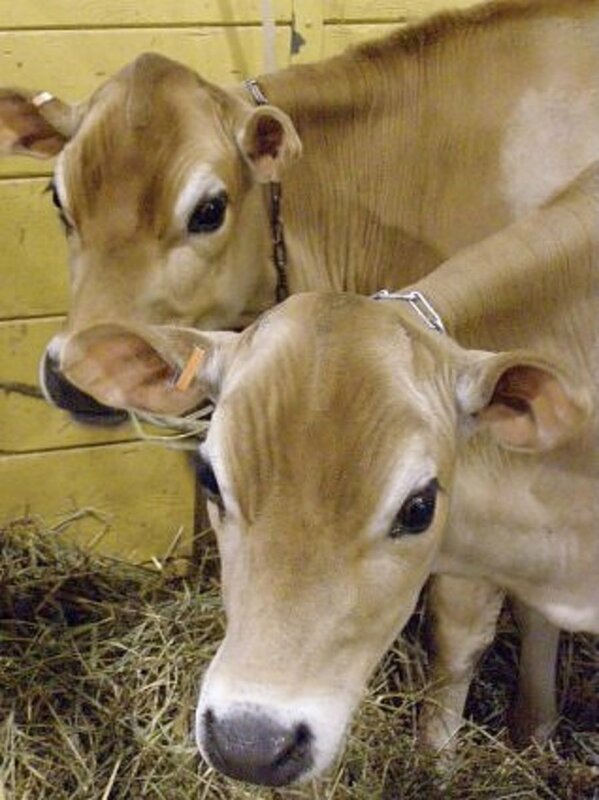 we love the jersey milk, but would like to add to the nutritional value with the guernsey milk and the beta carotene. it will make the best of both worlds come together for us and our share holders. Does anyone know where I can buy Jersey or guernsey milk around the St.louis,Mo. area? When we deided to get a cow we looked for a Jersey or a guernsey there were none pure breed but I am thrilled with at least having the cross. The quality and quanity of milk we get we are well satisfied with. Sounds like a great cross xlorrax. 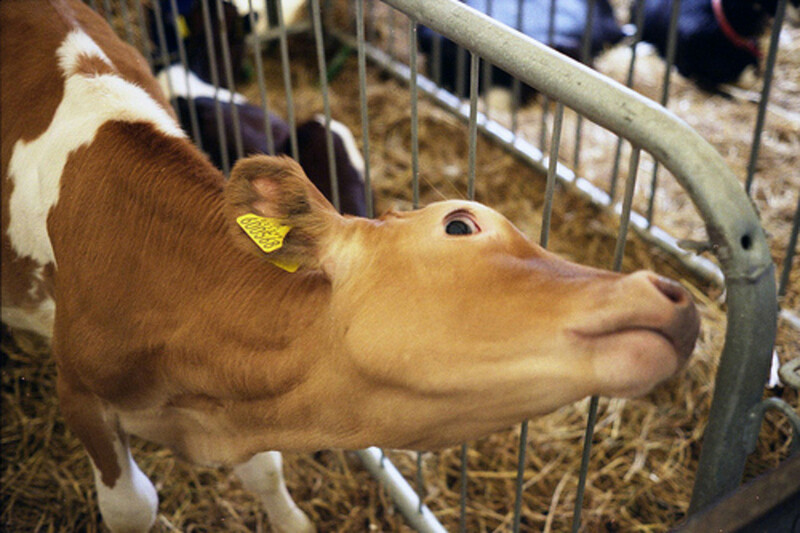 We can't do that in the Channel Islands because in order to keep the bloodline pure our cows cannot be returned to the island once they leave, and only Guernsey cows are allowed into the island of Guernsey (or Jersey cows in Jersey). Some cross breeding was done some years back between the French Charolais cows and Guernsey cows in order to improve the quality of the beef, but that was strictly controlled, and I am not sure if it still goes on today). Why can't we just cross a Jersey with a Guernsey? That way it's milk would give us the best of both worlds and we'd have cows almost as pretty and with eyes almost as big as the Jersey's roaming our fields. I grew up drinking gallons of unpasteurized Jersey milk from my grandfathers farm and credit this as to why I have never had a broken bone and have always been in excellent health. I have to agree with you though Mistyhorizon, Guernsey milk does taste the best but Jersey is a close second. Later on my grandfather bought a few Friesians and I remember not being as fond of their milk. If I'm not mistaken don't Friesians produce the most milk? Hi farmerbz, thanks for your lovely kind words. They are lovely cows, and very gentle in nature. I am sorry I can't help you with any suppliers of Guernsey cows in Southern Europe though. I simply wouldn't know where to start looking. I would suggest that a Google search for 'Buy Guernsey Cows' might produce some results, or you could even contact the Agricultural and Farm Services in Guernsey and see if they can advise you of where you can buy a pair in Europe. Their telephone number is 0044 1481 234567 or fax just change the last digits to 235015. I hope this helps and good luck in your quest for a pair of Guernsey Cows. Hi, I have never ever had a glass of guernsey but in my heart of cow hearts I am voting for her anyway. I just love they way they look. I have a farm in Italy but no Guernseys to be found down here, any idea of exporters or dealers in Italy, southern europe? I will gladly be your spokesperson for Guernseys in Tuscany if you can help me find a pair!! I guess I just a Jersey girl - even after all these years, but great information. Hi Lenster, check out the links I have provided above in the "Additional Research Sources Used" section. It has been a long time since I wrote this, so without spending time re-checking where I found this info exactly (which would take time), I assume I included it in the "Additional Research sources Used Section". It should be easy to check out on the Net regardless, as that is how I found it doing my own research. just wondering if you could pass on the source for the statistics on the nutrition information for the jersey milk? Thanks Green Lotus, sorry not to have responded sooner, but like many hubbers I don't seem to be receiving all my notifications at the moment, so only found your comment when I went into "My Account" and clicked on "Comments". I vote for Guernsey!...although I've only had real Guernsey ice cream (heavenly) but once. They sure don't have Guernsey cows in Georgia. Does anyone know if we can get the real thing in the states? I don't trust ice cream by mail order. Great hub mistyh! I don't drink a lot of milk unless it's been transformed to ice cream but here's a vote for the Jersey although Guernsey, the island, is way more enchanting than Jersey, the state. Why did I vote for Jersey? Because those cows in your photos seem to have more personality. Guess it's their soulful, sensitive-looking eyes. Great hub. I'm for the Jersey cow milk, but then that's what I'm used to. I think it's the butterfat--makes for VERY RICH milk. I suppose there is the possibility both milks taste different here to other places based on the richness of the grass here. I know for many years they claimed it was too rich to keep sheep on the islands, yet about twenty years ago they started to and there are still a few around, although not very many. Hi Putz, I think Jersey's are by far the prettier cow of the two, (can't resist their huge 'Bambi' eyes). Still undecided overall on the milk, but prefer the taste of Guernsey milk. My daddy always liked Jerseys.